Open the above survey link and you will find that you have the opportunity to shape the meeting by expressing your views on how to deliver grassroots football development for players. The RWBL wishes to support its members by facilitating local grassroots development coaching teams consisting of members working with the BBFA. So following Simon's Q&A session we will be investigating your thoughts on how we can make modest steps to set up a continual development plan to support local clubs. There is an opportunity to network with other coaches and the BBFA at 7pm before the meeting kicks off at 7:30pm. Tea, coffee and biscuits will be availble at 7pm, also there is a licenced Bar. 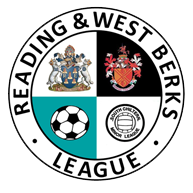 A thrilling match with Goring Robins, played at the Madejski Stadium, home of Reading FC, under floodlights.